The Medicare Access and CHIP Reauthorization Act (MACRA) establishes new ways to reimburse physicians for providing care to Medicare beneficiaries. In this course, we will explore MACRA, the Advancing Care Information aspect of MIPS, and ways that you can implement change and sustain best practice around MACRA. 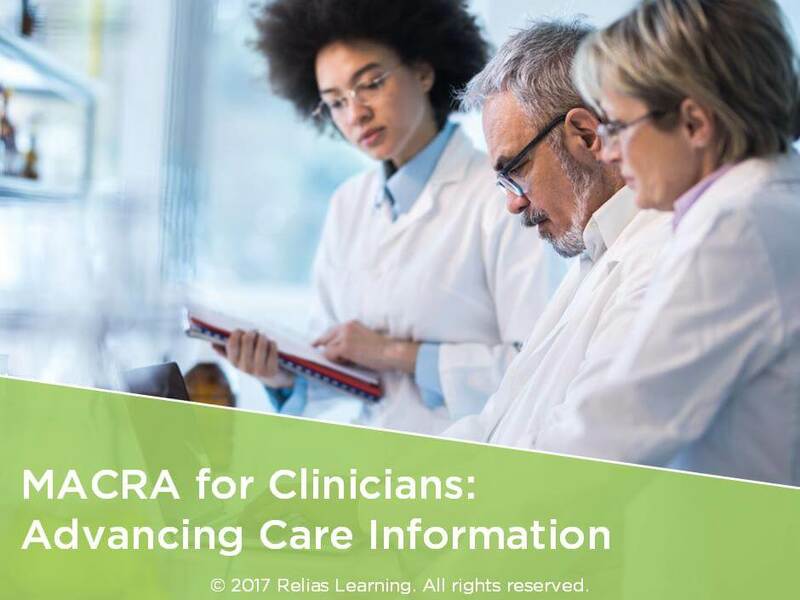 Educate staff on what MACRA Advancing Care Information is and the impact it has on future practice reimbursements. Provide guidance on how each staff member can impact Advancing Care Information scores. Describe the reporting process for Advancing Care Information measures. Don Fowls, MD, is a nationally known psychiatrist and health care consultant who is President of Don Fowls and Associates based in Scottsdale AZ. Dr. Fowls completed a residency in psychiatry at UCLA, and then practiced in Southern California for 10 years. He developed a large, behavioral health group practice and a provider-sponsored managed behavioral health organization. Dr. Fowls then served as Chief Medical Officer and Executive Vice President of Business Development at Value Options and its parent company FHC Health Systems for eleven years. He then joined Schaller Anderson Inc. as Executive Vice President, business development, and President and CEO of its behavioral health subsidiary, where he helped develop some of the nation’s first models that integrated medical and behavioral health care. Dr. Fowls then served as Chief Medical Officer in developing, implementing and managing Mercy Maricopa and now continues as a senior advisor for strategic initiatives. Dr Fowls also serves as the behavioral health and psychiatric advisor to the Practice Innovation Institute in Phoenix, and has been selected as a Champion for the Behavioral Health Affinity Group focused on value based purchasing. In addition to his consulting services, Dr Fowls has helped develop FasPsych, a telepsychiatry company, and is a board member and advisor for several community-based behavioral health organizations. Disclosure: Don Fowls, MD has declared that no conflict of interest, Relevant Financial Relationship or Relevant Non-Financial Relationship exists. The target audience for this course is: Nurses; Physician Assistants; Physicians; in the following settings: All Healthcare Settings.